Experience, Integrity, Quality, Education and Longevity, that’s what sets Silver Lining Tours apart from all other tour operators. We are the second oldest tour company in the industry and will celebrate our 20th season in 2018! Roger Hill holds the Guinness Book of World Records for number of tornadoes witnessed, photographed and videod since records began! 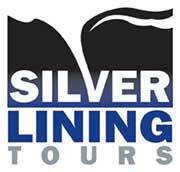 The staff at Silver Lining Tours consists of several degreed meteorologists, experienced storm chasers and veterans. Roger’s Weather 101 classes before and during each tour lay a foundation for each and every guest who wants to gain a greater understanding of storm formation, types and spotting. Roger has been chasing since 1985 and his wife Caryn Hill since 2004 (Caryn leads the photography tours). Our goal is to get you the best experience in the industry, while maintaining an unblemished safety record each year!